How to place a registered Active@ Boot Disk product into a Windows PE image for use in a network PXE boot environment? 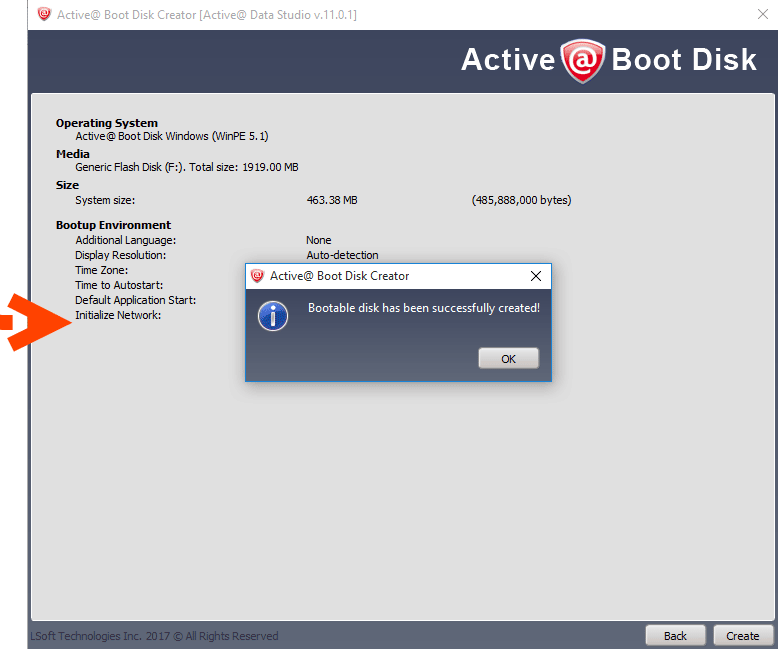 Home > Frequently Asked Questions > How to place a registered Active@ Boot Disk product into a Windows PE image for use in a network PXE boot environment? 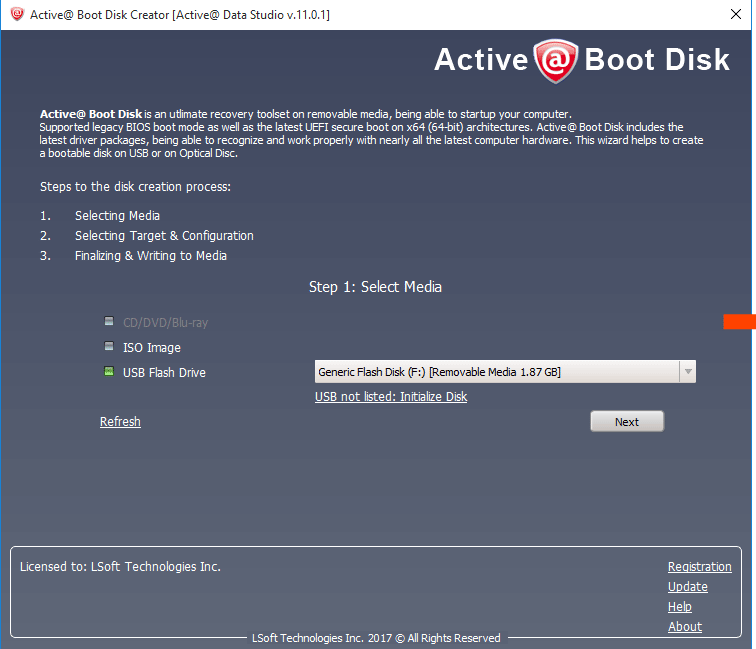 Start the Active@ Boot Disk Creator and make bootable media.